South by Southwest has announced the initial lineup for their Comedy Festival, which is held from March 8-17 in Austin. This first round of performers includes established and emerging comedians alike, along with enticing showcases and live podcast recordings. 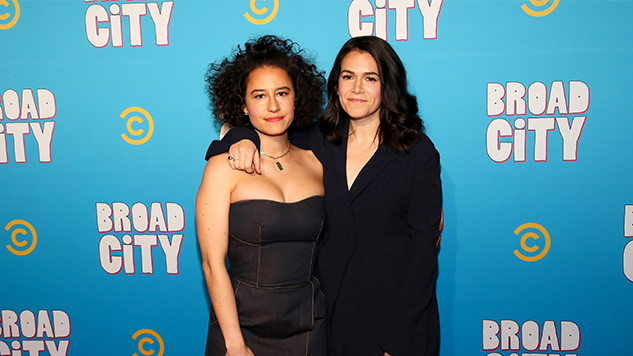 Broad City’s Abbi Jacobson and Ilana Glazer will grace the stage, as will household names like Eugene Mirman, Tim Heidecker and Paul F. Tompkins. The festival kicks off with Comedy Bang! Bang!’s James Adomian in “Elon Musk Keynote: The Frightening and Awful Future of Humanity.” One of the most highly anticipated showcases is “The Daily Show News Team Live” from Comedy Central, featuring stand-up from Ronny Chieng, Michael Kosta, Dulcé Sloan, Roy Wood Jr. and Jaboukie Young-White. Comedy Central is also introducing “The New Negroes with Baron Vaughn and Open Mike Eagle,” which will premiere as a TV series this spring. The show will deliver not only stand-up, but also musical performances and a new home for diverse voices in comedy. In case that wasn’t enough for you, just remember that this is only the initial lineup. Check out the full roster and list of special programming below.